The Chester County Adult Literacy Program has a need for Adult Tutors who are willing to work with adult students seeking to learn English as a second language, study for the GED exam or improve basic literacy or math skills. A 4 year college degree is required in order to tutor in the program, but a teaching background is not needed. 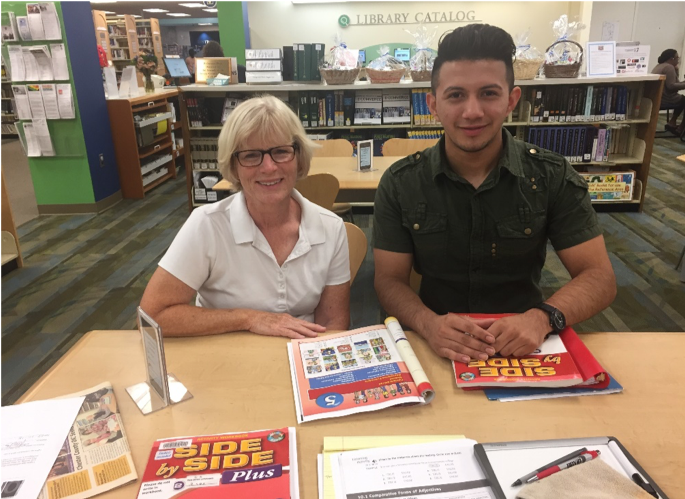 Our program is based in the Chester County Library and most students meet with their tutors there, however, tutoring also takes place in other public places like a Starbucks or Barnes and Noble. Tutors are asked to meet with their students about 3 hours a week. Usually this happens in 2 segments of 1 ½ hours, but can be structured in any way that is convenient for the student and tutor. Tutor training is now offered online through the PA Department of Education and materials are provided. If you would like more information, please contact Debbie Rikess at 610-280-2605 or email drikess@cc-ioc.org.